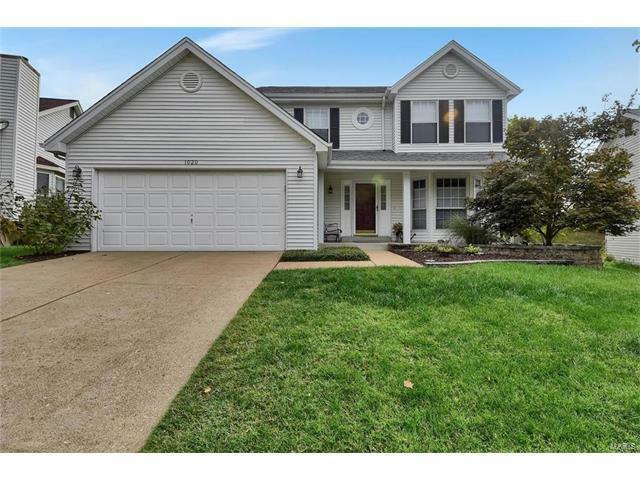 Are you looking for a great home in Parkway South school district, then this is it. You will love this 2 story home from the moment you pull up with the nice size porch to hang out on and the lovely curb appeal. Now that your sold, stroll thru the inside and see what your getting like the nice open floor plan, Main floor laundry, family room, living room, kitchen with stainless steal appliances, half bath on main floor to sliding doors that leads to an awesome deck for entertaining. Next, check out the upstairs with 4 bedrooms and 2 full baths with the master bedroom having a nice large walk in closet. Okay so you think you have seen it all! Nope, head downstairs to the partially finished basement with a room that can be used as an office or whatever you desire, ad full bath and a recreation room with a wet bar. Just as an added bonus, seller is offering a home protection policy for peace of mind. Big Bend West of Sulphur Springs to North on Treetop Village. Left on Oak Glen Dr. Right on Oak Glen Circle.